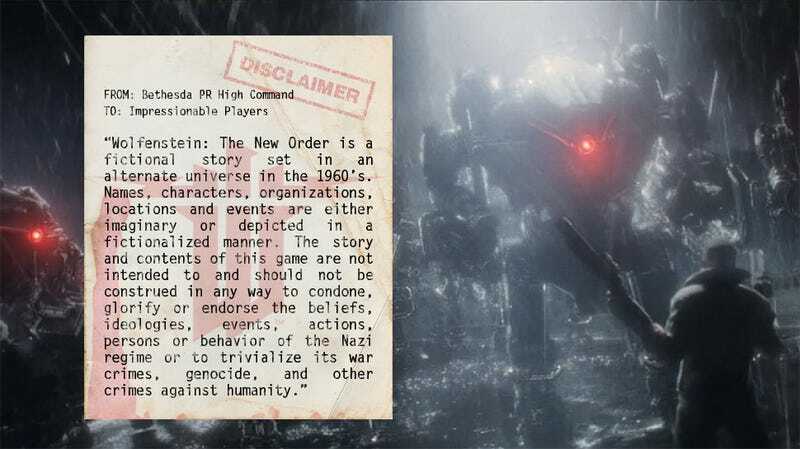 At the bottom of the official press release introducing the gaming world to Machine Games' Wolfenstein: The New Order, publisher Bethesda Softworks clarified its position on the Nazi regime's attempted genocide, war crimes, and crimes against humanity. In a business driven by sales, estranging yourself from even the smallest demographic is a tough decision. I applaud Bethesda for having the strength of character to distance themselves from the Nazi regime in such a public fashion.